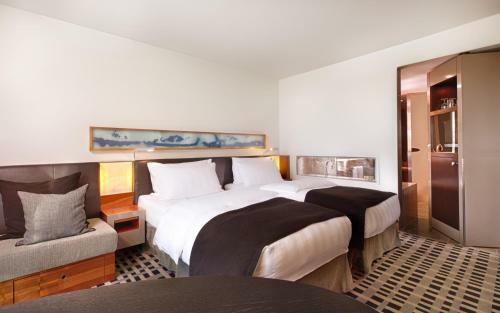 Pullman Berlin Schweizerhof price per day from €127 A spa with heated pool, 24-hour gym and elegant rooms are offered at this hotel. 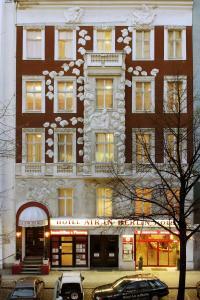 It lies just a 5-minute walk from Berlin Zoo and the Kurfürstendamm shopping street. 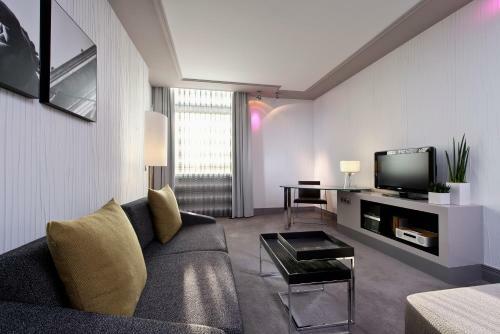 The Pullman Berlin Schweizerhof’s spacious, modern rooms feature a large flat-screen TV, minibar and a free bottle of mineral water. 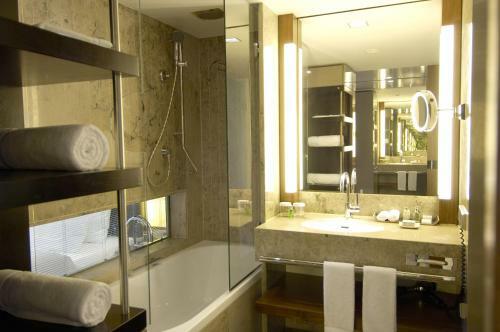 The private bathrooms are equipped with high-quality toiletries, bathrobes and slippers. A rich breakfast buffet is provided daily at Schweizerhof, and German and Mediterranean cuisine are served in the Xxenia restaurant. 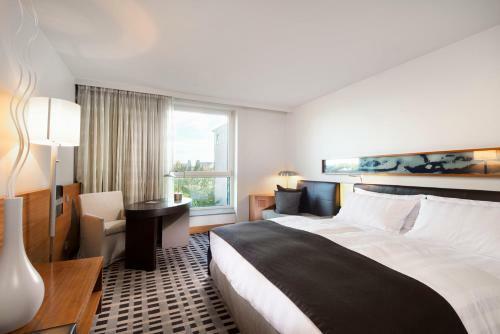 Holiday Inn Express Berlin City Centre West price per day from €62 This non-smoking 3-star hotel lies in the centre of Berlin, a 6-minute walk from Berlin Zoo and the Kurfürstendamm Shopping Street. A continental breakfast is provided for guests each morning. 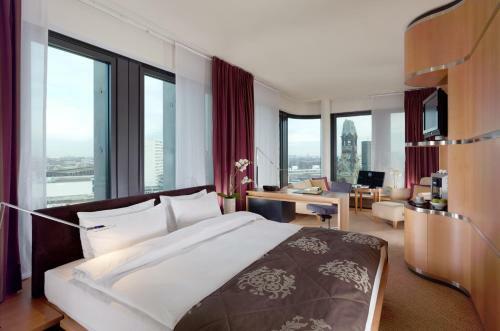 Holiday Inn Express Berlin City Centre West features a stylish red-brick exterior. The soundproofed rooms all include a flat-screen TV, a tea/coffee maker and a modern bathroom, and free Wi-Fi is available in the whole hotel. 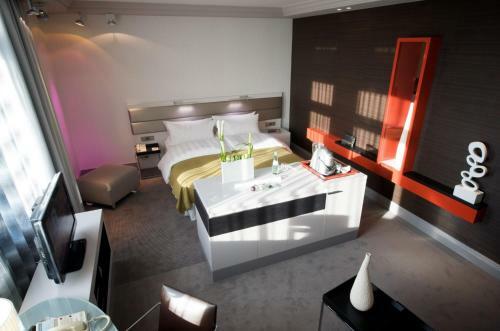 Motel One Berlin-Tiergarten price per day from €72 This design hotel in Berlin's Tiergarten district is a 5-minute walk from the KaDeWe department store. 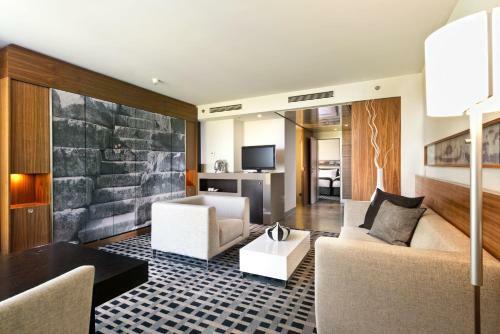 All rooms include a modern bathroom with granite and a mosaic design. 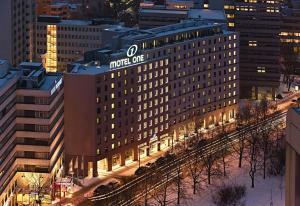 The Motel One Berlin-Tiergarten's elegant One Lounge includes designer furniture. Wittenbergplatz Underground Station is a 5-minute walk from the Motel One. 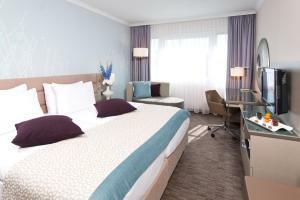 Pestana Berlin Tiergarten price per day from €75 This 4-star hotel offering free Wi-Fi is located in the Tiergarten district of central Berlin. 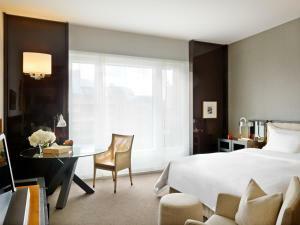 All rooms include a 37-inch flat-screen TV and some have a private terrace with panoramic views of the Tiergarten Park. The Pestana’s contemporary-style restaurant serves a selection of German and Mediterranean dishes, such as Portuguese specialities. 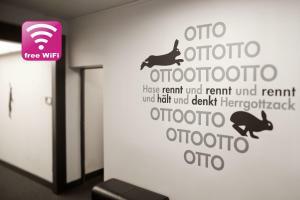 Guests can enjoy drinks and Berlin snacks on the terrace and in the cosy hotel bar with its SKY sports channels. Restaurant Jacob's Bar & , Berlin Guest reviews: 9,2/10 ~ 0,6 km from InterContinental Berlin Address: Nurnberger Strasse 14-15, 10789, Berlin. Cuisine: Mediterranean. 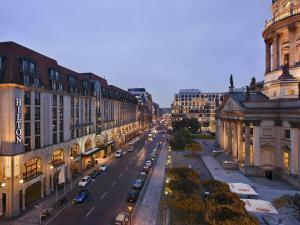 Restaurant KaDeWe 6th Floor, Berlin Guest reviews: 9/10 ~ 0,7 km from InterContinental Berlin Address: Kaufhaus des Westens, 10789, Berlin. 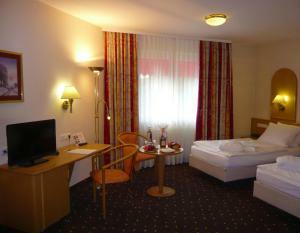 Restaurant Heising, Berlin Guest reviews: 9,6/10 ~ 0,8 km from InterContinental Berlin Address: Rankestrasse 32, Berlin. Cuisine: French. 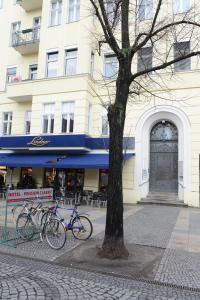 Restaurant Maharadscha, Berlin Guest reviews: 9/10 ~ 0,9 km from InterContinental Berlin Address: Fuggerstreet 21, 10777, Berlin. Cuisine: Indian. Restaurant Salut Mediterranean Food, Berlin Guest reviews: 9,4/10 ~ 0,9 km from InterContinental Berlin Address: Augsburger Strasse 29, 10789, Berlin. Cuisine: Italian.